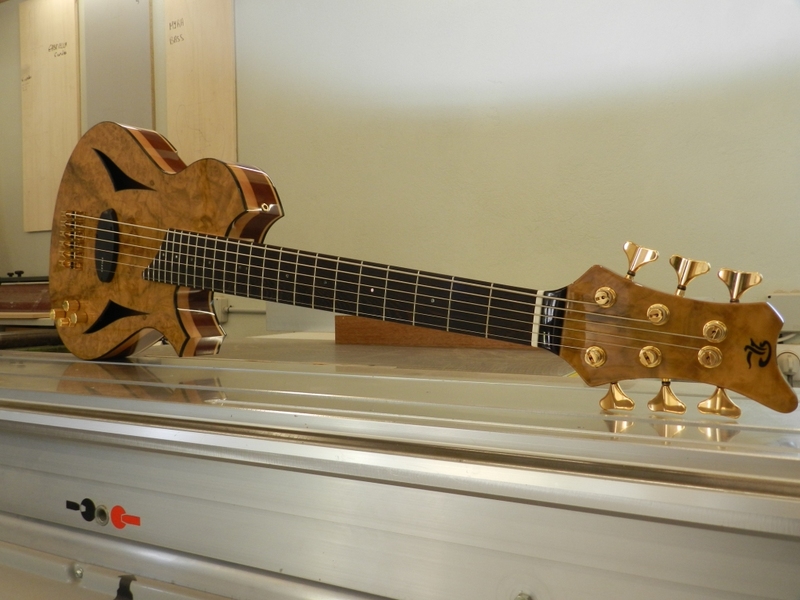 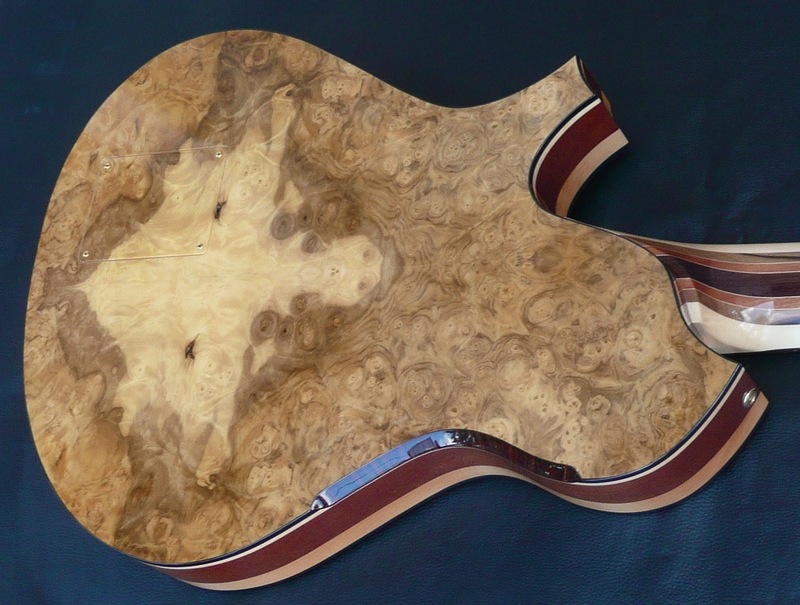 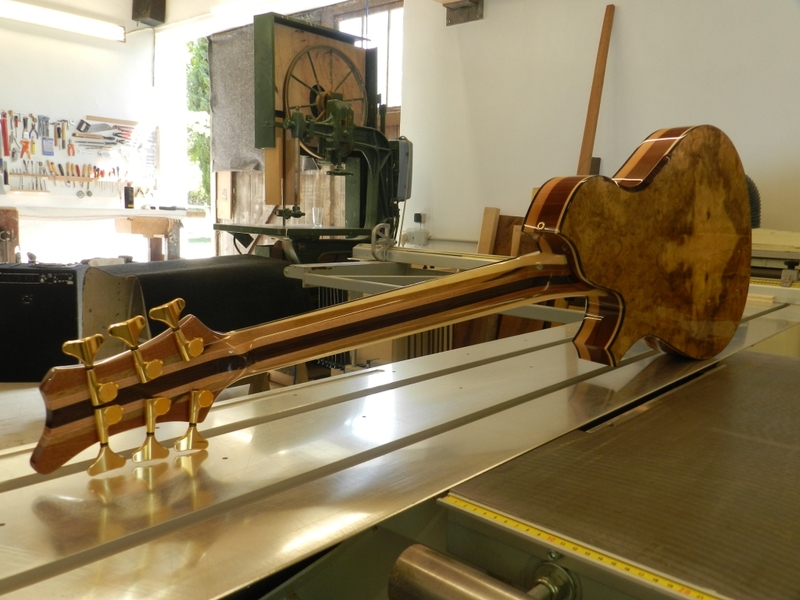 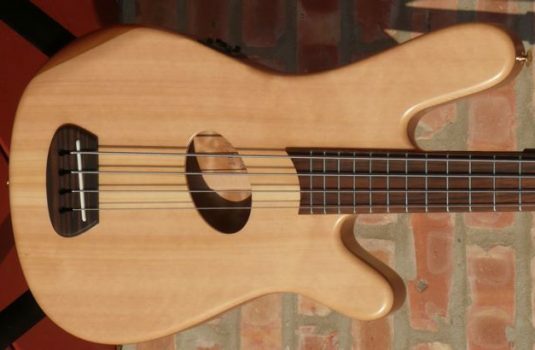 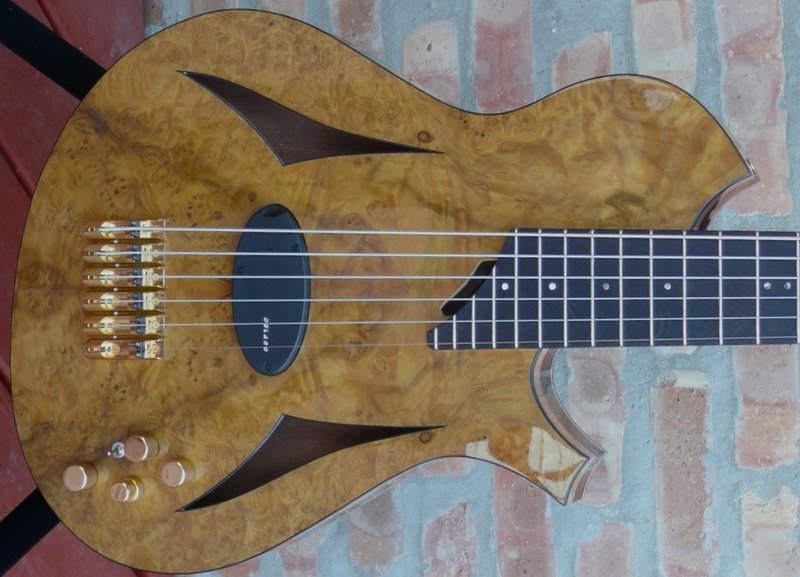 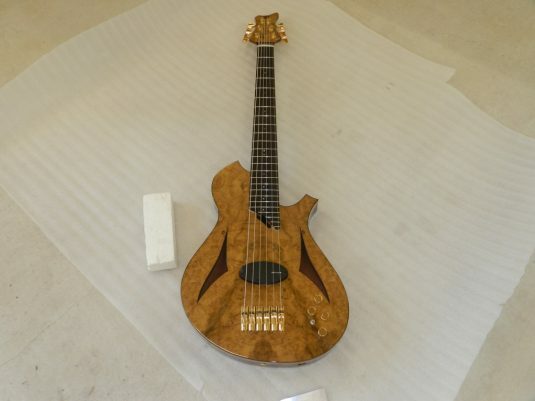 The Gabriella is a fresh and and stunning take on the acoustic / electric bass platform., by French luthier Paul Lairat. 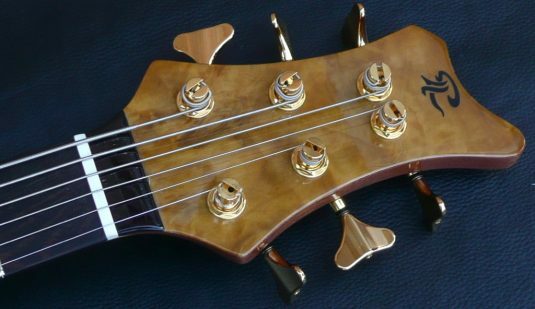 This bass is alive and very responsive to touch and nuance – a good player will be able to get a lot out this instrument in tone and dynamic range. 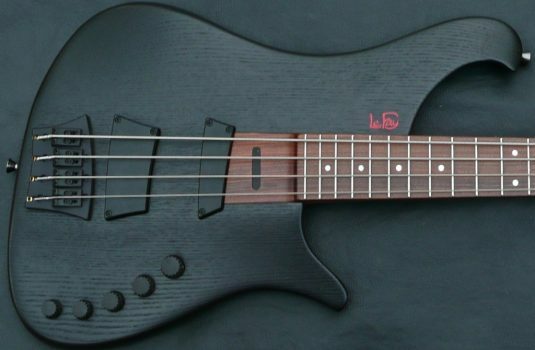 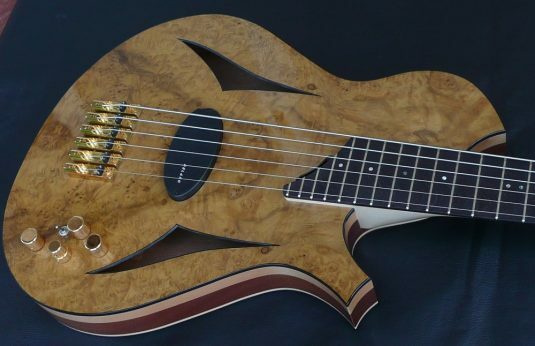 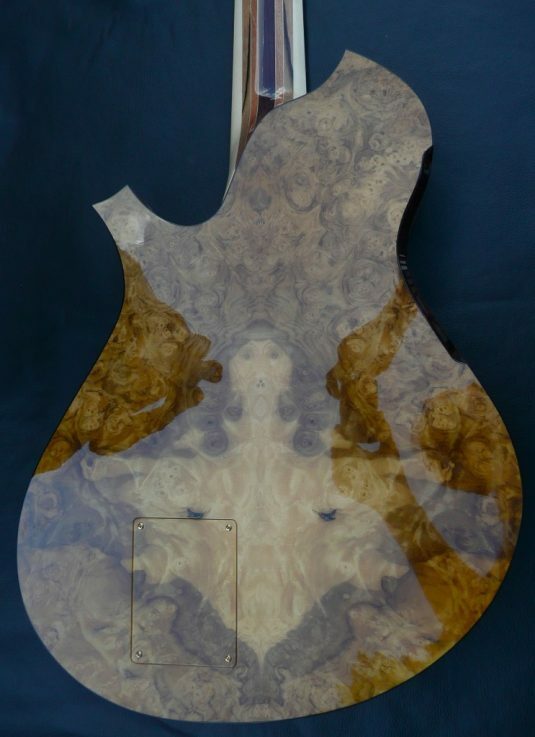 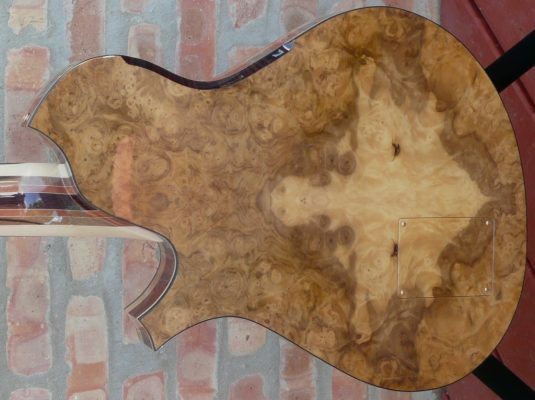 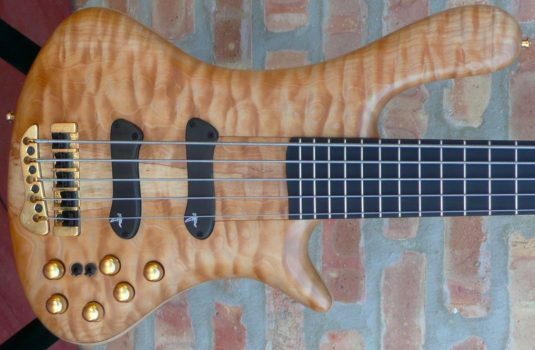 A bad player will look fabulous behind this bass. 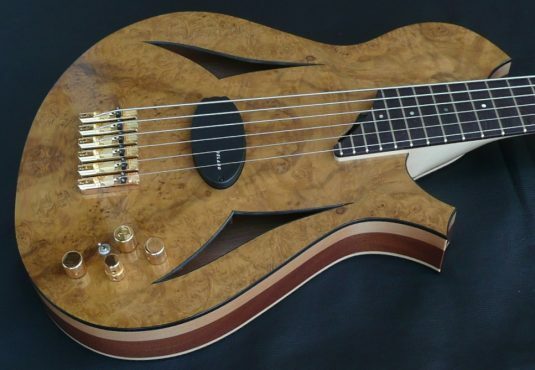 Something for everyone !